Need some orbs to summon the Dragon of your Dreams, or maybe to empower that Dragon you need for battle? We are very happy to bring to you...Joker Orbs!! Joker Orbs can be used in addition to dragon orbs to Summon / Empower a dragon of the right rarity. Where can I find the Joker Orbs? You will initially be able to obtain them in an offer pack. However, coming in January they will be an exclusive reward for an upcoming new battle feature! How can I use my Joker Orbs!? If you have enough Joker orbs to start the Summoning or Empowering of that Dragon, they will show in yellow in the progress bar inside the Tree of Life in the Summoning or Empowering Screen. 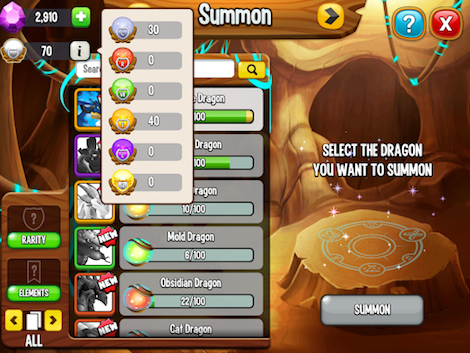 You will only see the Joker orbs displayed in the progress bar if you have enough to Summon/Empower that Dragon. If you do not have enough combined orbs, you will not see the Joker orbs here. 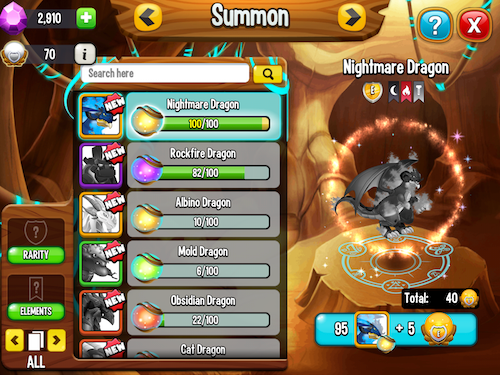 You can find out exactly how many Joker orbs will be used in the toolbar that appears in the bottom right corner of the screen, after selecting the dragon you wish to summon or empower. What are the restrictions when using Joker Orbs? The specific dragon orbs will always be used before including the Joker orbs. For example, if a player has 90 dragon orbs + 25 Joker orbs and decides to summon this dragon, the 90 dragon orbs will be used, and only 10 Joker orbs. Where are my Joker Orbs stored? Your Joker orbs balance is shown at the top left of the screen in the TOL (Tree of Life), under the gems balance.